Bridal service company ESCRIT INC is now taking reservations for a new Pokémon themed wedding plan: the Pokémon Bridal Fair which offers free wedding consultation. The plan comes with an original Pokémon wedding registration sheet and paper bag. 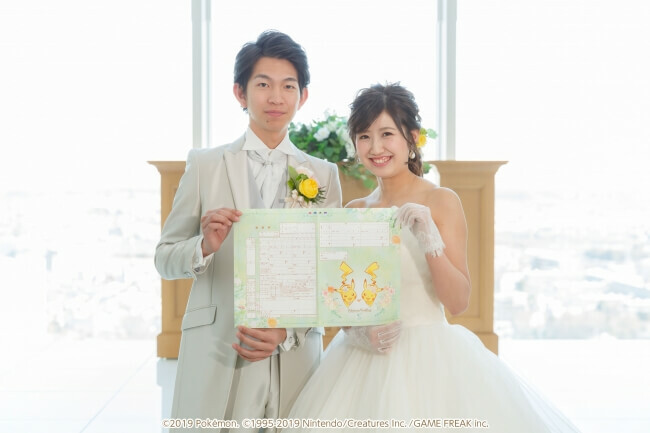 Newly wed couples will also be gifted Pikachu Welcome Boards for signing their marriage contract. 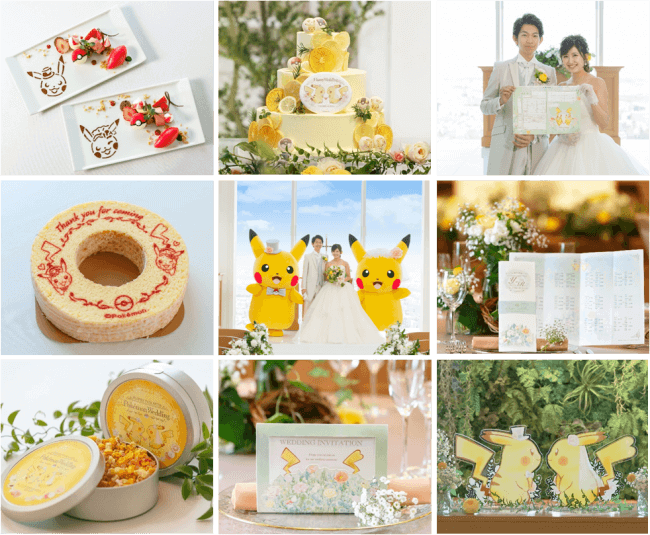 Other goodies include a Pikachu wedding cake, French full course, a range of decorative paper items, a baumkuchen cake, green tea, and best of all – a visit from two Pikachus. There will also be wedding gifts for guests. Enjoy a very special and memorable wedding together with Pikachu. ポケットモンスター, ポケモン and Pokémon are registered trademarks of Nintendo, Creatures and Game Freak.